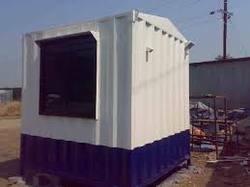 We are a leading Manufacturer of prefabricated toilets, mobile toilets and bunk house portable toilets from Jaipur, India. cement, bricks, sand,grabel, water free dry construction module, GREEN AND ECOLOGICAL. A prefab toilet structure which fulfill to the needs and meet all the aspects of the requirement. Door: Steel frame, mineral fiber wood composite board. Fireproof, waterproof. Fireproof, waterproof, weather proof etc. 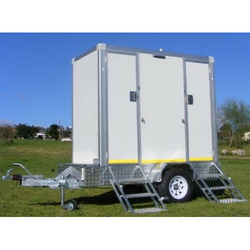 The Mobile Toilets available with us are designed inside the mobile vans. These are available in 18 x 7.5 feets. These toilets have separate tanks for storing waste and water. We can design these mobile toilets as per the clients' requirements. These mobile toilets are designed with attention to safety, hygiene and privacy. These cabins are most useful and durable. These mobile toilets are made from insulated sandwich panels with seven urinal block and three toilet blocks inside the room.